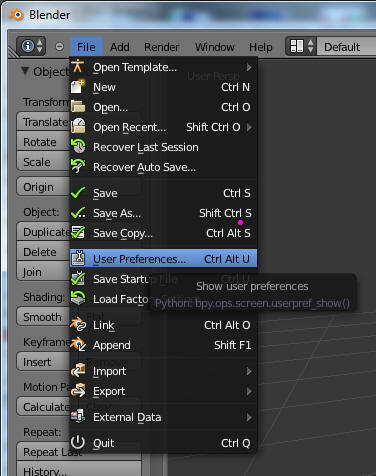 Open Blender and go to File-User Preferences. 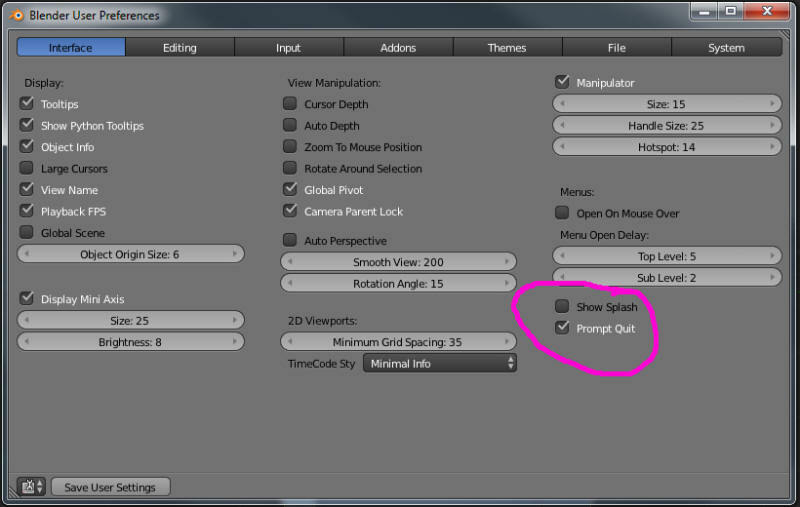 Select the Interface Tab and uncheck "Show Splash" and check "Prompt Quit". 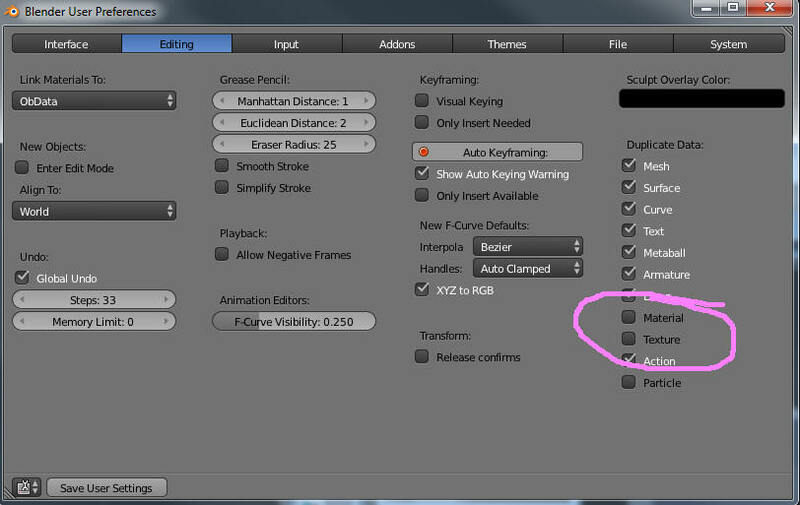 This removes the annoying splash screen and also makes Blender prompt you to save your file before quitting. I lost tons of work before I found this checkbox. 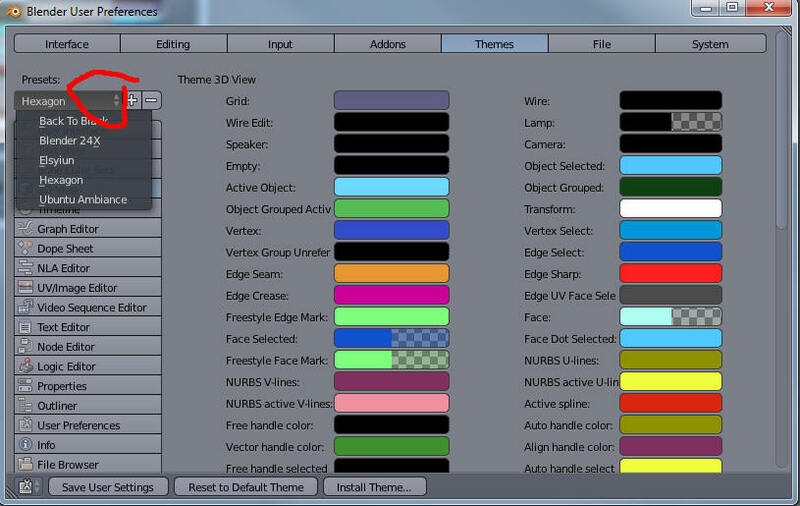 Select the Editing Tab and enable both Material and Texture Duplication. Objects that you copy will now have the original texture and materials maps. 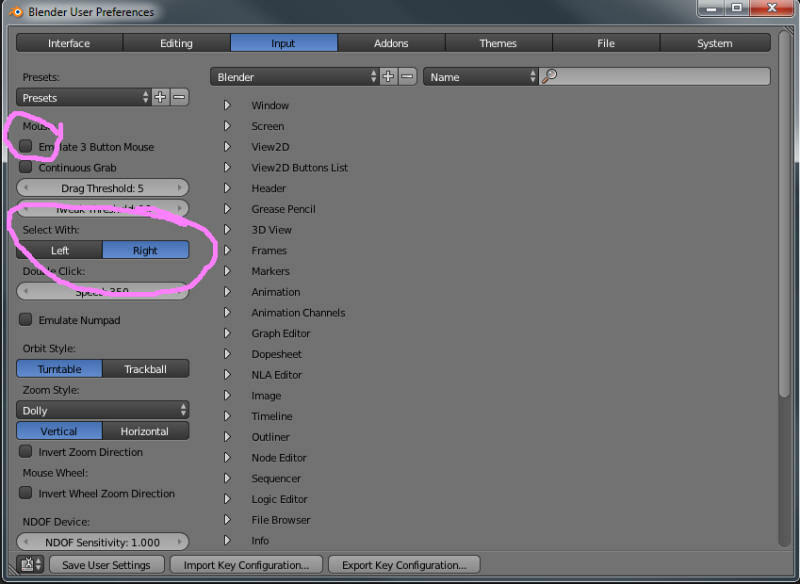 If you are editing on a laptop that has no separate Numeric Keypad, click the Emulate Numpad button. 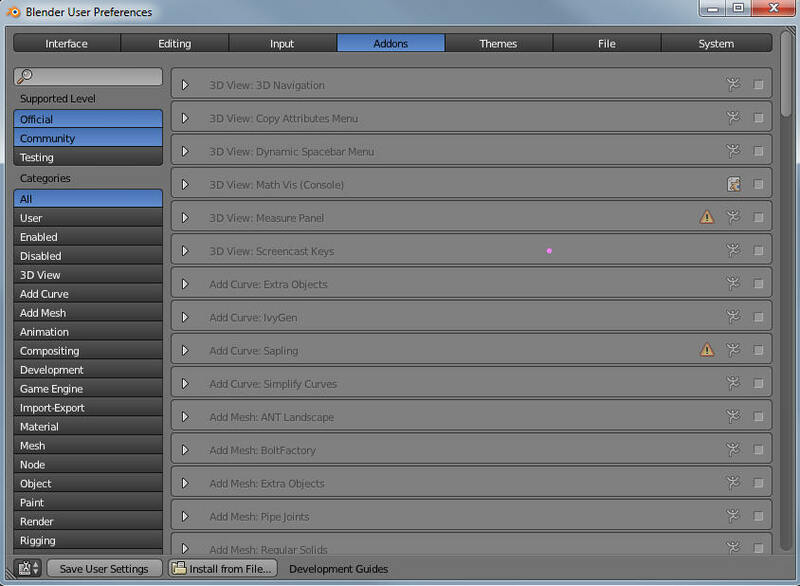 Select the Blender Addons tab. Scn through this list and enable some of the more common file formats for Import-Export. If you have difficulty seeing small things ( I do, as I have poor eyes ( and am cross-eyed, too, go figure I would like 3-D modeling yet connot see 3-D)), you should select a theme that helps you see. The lighter themes are good on older LCD's that are not very bright. 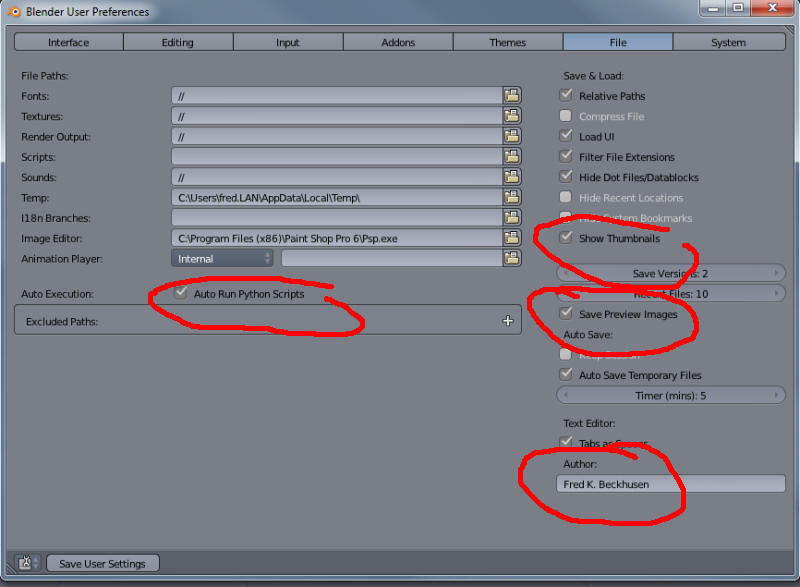 You will need to enable "Auto Run Blender Scripts" to use the MakeHuman importer. 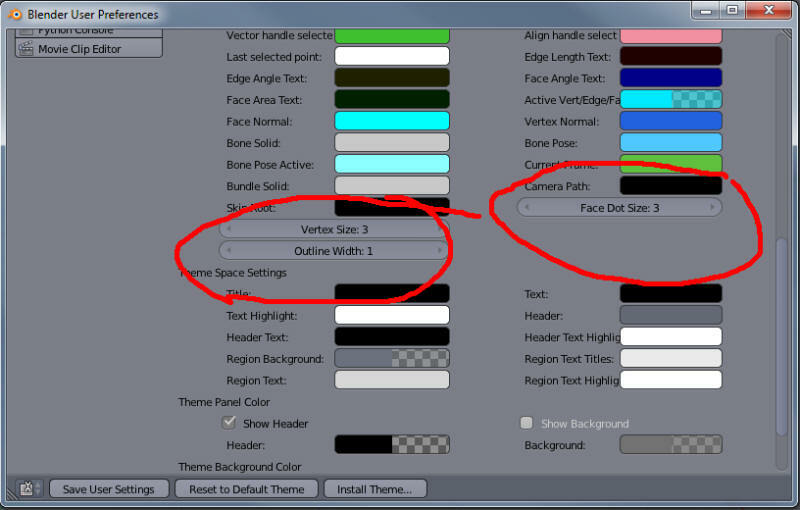 And you really want to show thumbnails for textures and enable thumbnails blend files. Your name as creator will be inserted into the file too, so now is the time to fill it out.